As my company grew, I’d periodically be accused of making decisions slowly. I couldn’t figure out why, until one day it dawned on me: While employees thought they were asking me to weigh in on a choice that had to be made, I thought they were making small talk at the coffee machine. It wasn’t always clear that I’d been asked to decide anything. I simply figured I’d been listening to colorful commentary about issues that team members were working to resolve. When a business is growing fast, decisions can get lost in the fray — especially if it’s unclear that a decision even needs to be made. The result, for our company, was that initiatives would stall without my input. That got me thinking about the most effective ways for people to present their ideas and get the responses they need to either take action or go back to the drawing board. Clarity about how to communicate and what strategies to employ gives people a better chance of getting approval for their recommendations. When you’re making a recommendation, keep in mind your final goal: to make change and get people to act. After identifying a problem or opportunity, your first audience is the person or team who has the authority to approve your recommendation. Your job is to shape your message. To sell your manager, provide lots of detail. To get a recommendation approved, you’ll inevitably be communicating up. Your manager may be the one to make the decision, or she or he might sponsor the idea to your executive suite. In either case, you need to show that you’ve done your homework. Many times you’ll want to prepare a document that outlines the problem or opportunity, builds your case for action, and includes a comprehensive appendix with research and other material that supports your decision. We use (and give away for free) a presentation tool we developed called Slidedocs, which is designed for creating something to be read and referenced instead of projected. It’s a resource that makes it easy to blend text and visuals and gives you the space to shape your idea. Whatever presentation software you use, your manager must feel confident that you’re well-informed and that the idea is defensible ― because both of your reputations will be on the line. To get a decision from an executive, provide a clear recommendation. For a C-suite audience, you need to get to the point quickly by crafting a recommendation with a sound structure and skimmable content. Many of my CEO friends spend one full day per month listening to and approving or declining recommendations as a key part of their executive function. Some executives give a half-hour time slot to each idea, but if you’re scheduled for 30 minutes, formally prepare only a solid 10 minutes — because you will get interrupted. Lots of senior executives can swiftly “see” most of the idea, and they will cut in either to gain clarity on the bits they cannot see or ask what you think they need to do. If you want to show visuals, keep your executive’s pace in mind and have an interactive table of contents so you can easily jump around your deck and appendix to show supporting evidence. Here’s an example of how this can work effectively: At my company, we created an extended leadership team made up of 12 executives who are next in line to manage and drive change. At an offsite meeting, we asked the team to make recommendations about where the company should head and how we should get there. The 10-minute presentation they came up with was stunning. The first part proposed that we operate more like a hospital, with a diagnosis center and specialists with distinct skills to solve client problems. This would address a pain point of senior team members feeling fatigued from having to be all things to all clients ― the metaphor they used was that they felt like they ran all over the floors of this hospital. The second part spelled out six structured recommendations with clear actions that would get us to a different kind of organization. Once your recommendation is approved, you start the harder part. Every recommendation requires a group of people to act, whether it’s peers in your department or a broader audience if the recommendation is company-wide or client-based. You need different persuasion techniques for each group. To get your peers on board, speak your geek. When explaining a new project to people in your department, you already have a common language. The people closest to you organizationally may already understand why you’re making the recommendation and how it may play out; there’s a high probability they helped you craft the recommendation. With them, you can refer to the shared visual and verbal shorthand you use on a day-to-day basis. Acronyms, departmental verbiage, and complex charts are all OK, as long as your visual and verbal density is familiar to all involved. To spread enthusiasm to a wider group, add emotional arguments. If your recommendation has corporate-wide appeal and becomes a key organizational initiative, or if it’s an idea that you’re taking to a client or an external partner, you’ll need to rally a larger group of people. This requires you to modify your day-to-day way of communicating and use a more empathetic approach, especially since those affected by the decision may resist change. Adding a layer of emotional appeal will help your audience understand why something needs to get done and find meaning in doing it. Consider how close your audience is to adopting your idea and create content with the appropriate amount of emotional appeal to reach them where they are. We worked with a client, a vice president of human resources at a Fortune 50 retail company, who had this challenge. She was new to the company and had to give a hard speech to 3,000 people at the organization, telling them that they needed to change how they operated with the business in flux. We urged her to find common ground by talking to her audience about their shared experiences of their first days at the company. They all had felt the pride and excitement of working at a company their customers love. This was the feeling they would continue to aspire to, even as the company underwent difficult transformations. Always consider what your audience needs to hear. When your audience changes, so should the language you use to make yourself understood. Communicating clearly what is being recommended, and why, will get to decisions faster. Those who are seeking an answer should not hesitate to be unambiguous when they need a decision — and acknowledge what the impact will be if they don’t get one. With hindsight, I can see that part of the reason I made decisions slowly is because my company didn’t have a formal recommendation process. Employees didn’t know how decisions were made or when a decision was approved. Leaders can change this from the top. They can make it clear how employees should propose recommendations and be transparent about when a major decision is made and when it’s rejected. Having a well-defined approval cycle for recommendations will add metaphorical grease to the decision-making gears, rendering the process smoother and more efficient. Editor’s Note: An adapted version of this article appears in the Spring 2019 print edition. 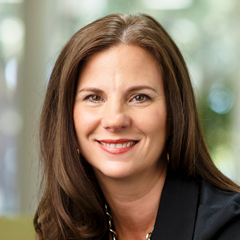 Nancy Duarte (@nancyduarte) is CEO of Duarte, a creative consultancy and training firm specializing in communication. She’s the author of three best-selling books; her latest is Illuminate: Ignite Change Through Speeches, Stories, Ceremonies, and Symbols (Portfolio, 2016). I have two of Nancy’s well-thumbed through and constantly read books on my bookshelf — Resonate and Slide:ology — both irresistible and irreplaceable books for business. Slidedocs is a breathtaking breakthrough. Many thanks for making this latest recipe for success available to your readers.